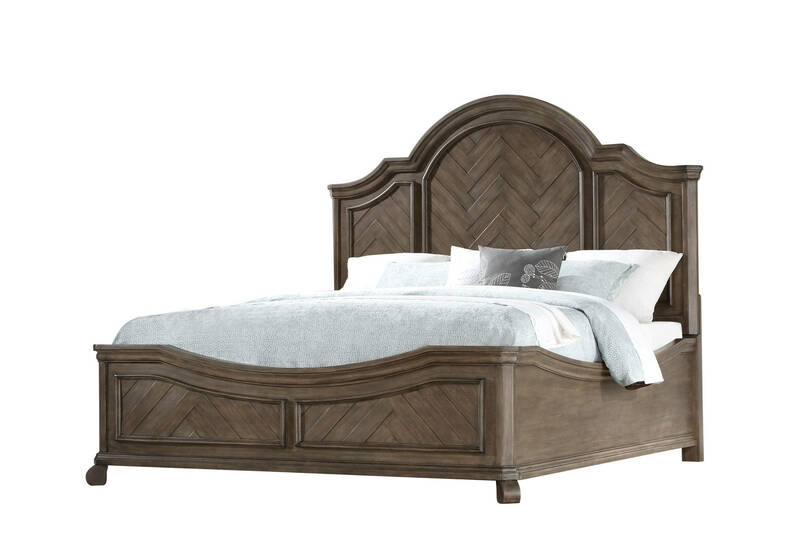 The Knoll Hill king bed blends rustic and traditional elements for a warm, sophisticated style. Blending rustic and traditional elements with rich, warm tones forms the Knoll Hill collection. Weathered wood crafted with pine solids and birch veneers is finished into an elegant chevron pattern. This eye-catching collection is complete with details of ornamental molding, gentle curves, and wrought iron-inspired hardware. Let Knoll Hill set the tone of comfortable sophistication in your home.